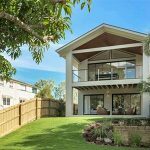 B ased in Victoria, Ian Van Duyn and Amy Kelley wanted to purchase a home before they relocated to Brisbane. The house needed to be in tidy condition with a suitable structure and have the potential to renovate it into a larger family home. Ideally, they wanted a character home with 3 bedrooms and 1 bathroom on a flat block that was close to local amenities and good schools and would cost no more than $1.1M. Their preferred suburbs were Paddington, Bardon, Ashgrove and surrounds. We identified a lovely character home in Paddington with 3 bedrooms, 1 bathroom, an open plan living and dining area and a covered rear deck. 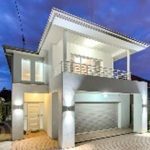 Situated on a 405m2 block in a great location that was surrounded by superior homes, there was great potential to raise the house and renovate it into their dream home. The market appraisal was $990,000; however, we purchased it for $961,000 at auction. We found the process of house hunting from out-of-state completely overwhelming until we enlisted the help of the amazing team at Property Pursuit. Nathan worked tirelessly to investigate dozens of options for us and was never deterred when for one reason or another something didn’t feel right; he just continued our search with the same level of energy and enthusiasm. In the end, he found us the perfect home, which Meighan then secured at auction for considerably less than we were expecting to pay. Throughout the three-month process, there wasn’t a single moment that we doubted we were in the hands of complete professionals. Purchasing property can be a stressful experience, but thanks to Property Pursuit this wasn’t the case for us, and we feel happy and confident knowing we made the right purchase. Avoid buyer’s remorse and make sure your interests are protected through the purchase of your first home. Contact us today on 1300 726 604.